On a crisp, fall night, Serena Westwood wakes to the faint stirs of her crying baby. Bottle in hand, she tiptoes to the other side of the house, sneaks up to the crib, looks in. A wave of panic grips her as her real nightmare begins. Inside the crib, there is no baby. If you're a fan of Sue Grafton and Mary Higgins Clark, you'll love these suspenseful mysteries. A New York Times bestselling mystery series. "Bradshaw is a great storyteller." "A fantastic, fast-paced detective novel." 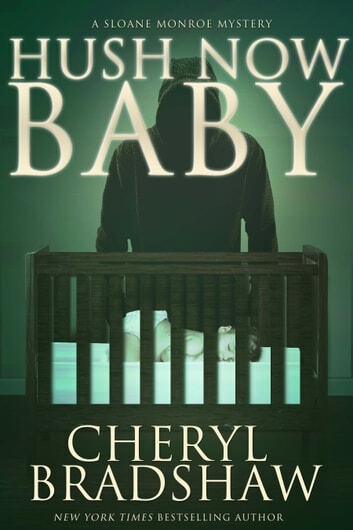 A murder associated with the kidnapping of an adopted newborn, a private detective who is no longer confident and an old flame who just happens to be a detective and the cousin of the baby's adoptive father. Lots of action, twists and a few turns make for a good read that keeps you interested. Love the Sloane Monroe Series. Great read, enjoyed it from start to finish. Love Cheryl Bradshaw. I am going to enjoy the next book. Wonderful story, I could not put it down. I wanted to find out the ending, but I didn't want the book to end! Great job! 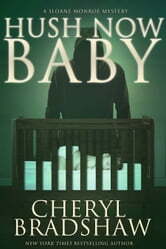 Looking forward to reading more books written by Cheryl Bradshaw! I can hardly wait ! Excellent plot. Cannot wait to read another one of her books.Her pot ws exciting and kept me guessing all the way throgh the book.